Welcome to the July 11, 2018 edition of ACM TechNews, providing timely information for IT professionals three times a week. 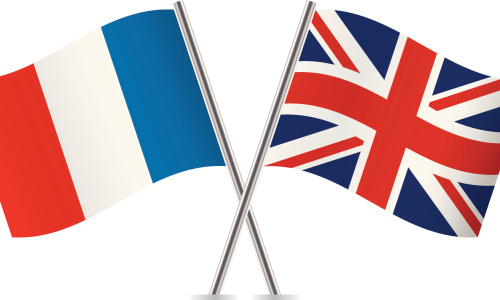 The U.K. and France will work together more closely on technology, including artificial intelligence (AI) and cybersecurity, as the two countries announced plans for a digital conference this year to promote deeper collaboration. The event aims to foster cooperation among academics, industry, and government in the two countries. The U.K. currently invests more in technology than any other European country, and in December it was named the best-prepared country in the world for AI implementation by Oxford Insights, an organization dedicated to helping governments increase their impact; meanwhile, France is focusing on startups and entrepreneurship in this field. Under the new plan, the U.K.'s Alan Turing Institute will work on research and funding initiatives with France's DATAIA Institute. The agreement, which will last five years, contains language reaffirming the two countries' commitment to net neutrality. Organizations such as the Lambda School offer coding training programs for Web engineers and assistance with job placement, in which graduates attending the online school for free agree to pay back a set portion of their salary via an income-share agreement (ISA) once they are employed. In 2012, the for-profit App Academy coding bootcamp started offering a 12-week program oriented around an ISA; similar arrangements are available at the New York Code + Design Academy, which provides a range of Web engineering and design courses, and San Francisco's two-year Holberton School program. Code.org estimates more than 550,000 jobs requiring computer-science skills are currently available, while fewer than 50,000 computer-science majors found employment last year. Leaders of ISA-based training programs envision a business opportunity based on talented students who lack cash or credit for tuition. Such programs are gambling they can transform participants into well-paid tech professionals, and receive part of their salary as profit. 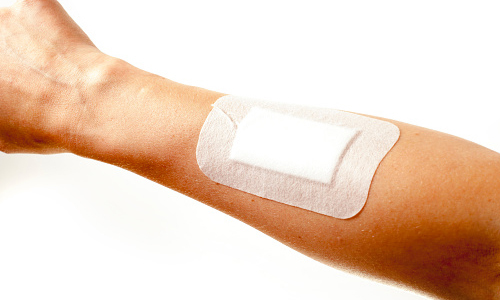 A team of researchers led by scientists at Tufts University has developed a prototype bandage that can actively monitor chronic wounds, and deliver appropriate drug treatments to improve the chances of healing. The smart bandages include pH and temperature sensors, as well as flexible sensors to monitor oxygenation, a measure of healing. A microprocessor reads data from the sensors and can release drugs on demand from its carriers by heating a gel within the bandage. The entire system is attached to a transparent medical tape to form a flexible bandage less than three millimeters thick. "One can imagine embedding other sensing components, drugs, and growth factors that treat different conditions in response to different healing markers," says Tufts' Sameer Sonkusale. Researchers at the Chalmers University of Technology in Sweden and the Tallinn University of Technology in Estonia used ultra-low-noise, phase-sensitive optical amplifiers to establish a 4,000-kilometer fiber-optic transmission link, nearly six times the distance possible when using conventional optical amplifiers. The researchers demonstrated the use of phase-sensitive amplifiers can be significant, and simultaneously reduces the impact of noise accumulation and signal distortion, both of which are limiting factors for modern fiber-optic transmission links. The new amplifiers also could be used in quantum informatics and related fields, in which generation and processing of quantum states are a focal point, as well as any other application that could benefit from ultra-low-noise amplification, says Chalmers' Peter Andrekson. A team from Ulsan National Institute of Science and Technology in South Korea has developed a fingerprint sensor array that measures pressure and temperature, using electrodes formed from nanofibers and nanowires to quantify the electrical current a finger generates. The temperature sensor can determine whether the device is being touched by an actual finger or an inanimate object. "These sensors exhibited excellent optoelectronic properties and outstanding reliability against mechanical bending," say the researchers. "This fingerprint sensor array has a high resolution with good transparency...[and] can be integrated with all transparent forms of tactile pressure sensors and skin temperature sensors, to enable the detection of a finger pressing on the display." The sensor's transparency means it can be placed beneath displays, and could potentially enable smartphone makers to broaden its coverage on a larger portion of a phone's screen so users could place a finger anywhere on the screen to unlock their phone. Researchers at Simon Fraser University (SFU) in Canada have found that 911 video calling systems designed in the manner of current commercial video chat software (like FaceTime or Skype) are inadequate to address the real needs of emergency calls and dispatcher work practices. The study suggests video calls could provide valuable contextual information about a situation to 911 call-takers, and help overcome call-taker challenges with ambiguous information, location, deceit, and other communication issues. 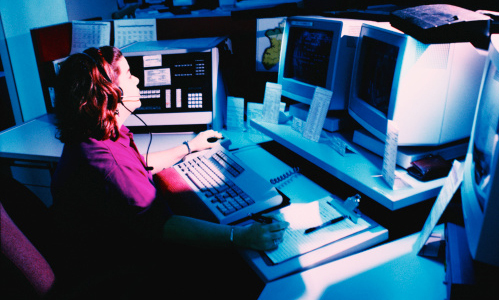 The researchers based their findings on data collected from three 911 call centers where they observed work practices, listened in on incoming calls, and conducted interviews with the call center agents about the positive and negative aspects of future technology use. 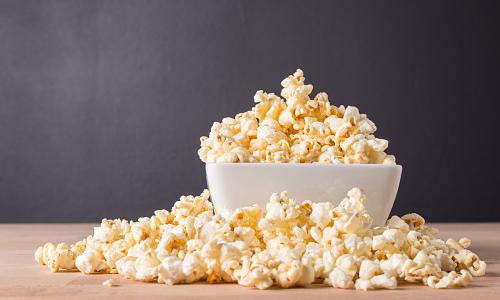 Cornell University researchers have created ways for biodegradable robotic actuators to be powered by popping corn. The researchers developed a proof of concept that demonstrates soft, compliant, and rigid-link grippers that use popcorn as an indirect power source. Kernels are stored in a flexible container between two plates with wires attached to them, and the popping kernels force the plates apart and pull on the wires, which can be used to actuate whatever the designer wants. The team created a prototype of a popcorn-powered three-finger gripper using three-dimensionally-printed components and a kernel-filled pouch; when the kernels pop, they elevate the gripper's top section, making the fingers close. "The amount of expansion is...going to affect the amount of force that is exerted when the kernel pops, so this means we could have a good amount of control over the exerted force simply by choosing the heating method," notes Cornell's Steven Ceron. San Diego State University and the Texas Tech University Health Sciences Center are testing a mixed-reality software program from London-based educational firm Pearson to give nurse trainees experience in dealing with medical problems while reducing costs. Pearson developed HoloPatient as part of a series of applications used in conjunction with Microsoft's HoloLens headset; the software allows the HoloLens to overlay a life-size, three-dimensional patient avatar in an actual classroom. Professors view such technology as a cost-effective means of immersing students in otherwise inaccessible environments, supplementing to existing solutions or substitutes for them in institutions that lack the resources for actors, mannequins, or simulation facilities. Pearson's HoloPatient simulations of an allergic cyclist, an older adult taking a balance test, and a patient suffering chronic obstructive pulmonary disease were generated by filming scenes with Microsoft's holographic capture technology. The Girl Scouts are hosting workshops to teach members basics in science, technology, engineering, and math (STEM) careers, including Cyber Camps where such skills as computer hacking are taught. At a recent Cyber Camp at Collin College, a community college near Dallas, TX, participants were taught to hack within a small network set up in a single room, using Kali Linux penetration testing software. Participants employed laptops to pass in and out of a central server, learning common exploits and how to protect against them. One lesson from this exercise was to show how much information is left exposed on public servers. "There is a growing crisis in confidence among young girls, particularly when it comes to STEM education and the pursuit of STEM careers," says the Girl Scouts of Texas' Amanda Duquette. "As the largest girls leadership development program in the country, Girl Scouts is poised to fill this gap." The University of Maryland's Joint Quantum Institute (JQI) has demonstrated the first-ever single-photon transistor using a semiconductor chip, noting about 1 million such transistors could be contained within a grain of salt. The transistor can process 10 billion photonic quantum bits each second. The photonic chip is built from a perforated honeycomb-like semiconductor. Light penetrating the chip bounces around and is corralled within the lattice, while a quantum dot sits in the area where intensity is strongest. The dot houses photonic data, which it harnesses to mediate photon interactions. The team analyzed the transistor's response to weak light pulses that usually contained a single photon, and found this photon was trapped for a prolonged period, registering its presence in the quantum dot and controlling the transmission of a second light pulse through the device. Stanford University’s Shuo Sun said the design could permit many quantum light transistors to be connected. An analysis of 17,260 Android applications from the Google Play store and third-party sellers by Northeastern University researchers found “several” clandestinely recording and sharing video and images of users' screens. The research team executed static and dynamic code analysis to reach this conclusion, and they named some popular apps that performed unauthorized recording of users' screens. Among them is GoPuff, a food delivery app that transmitted recorded video through the Internet to a domain owned by the Appsee Web analytics firm. The researchers note the recording could contain personally identifiable information such as ZIP codes, while Appsee's software required no permissions to capture the video and did not send alerts to users. Scientists at the National Research University Higher School of Economics in Russia used a deep neural network to establish a new method of recognizing people’s faces on video. The new approach does not require a large number of photos and has significantly higher recognition accuracy than conventional methods—even if only one photo of a person is available. The team used the theory of fuzzy sets and probability theory to develop a video recognition algorithm that improves the accuracy of identifying faces by video in real time with a small number of images for several neural network architectures, including VGGFace, VGGFace2, ResFace, and LightCNN. The new approach uses information on how the reference photos are related, specifically how close or far apart they are. Knowing how much photos differ from one another enables the system to correct errors in the process of recognizing video frames. Massachusetts's Board of Higher Education and Board of Elementary and Secondary Education last month adopted motions to incorporate computer science into the state's standard curriculum for high school students planning to attend college. 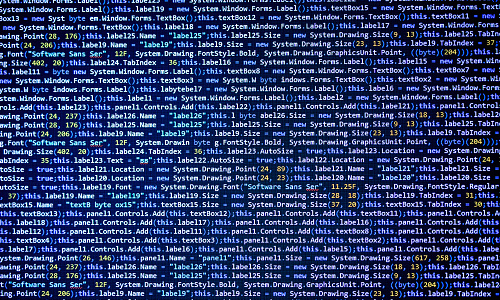 Starting in the fall, students can take computer science as a substitute for a required math or laboratory sciences course. "In a state like ours, which is obviously so dependent on technology sectors generally and knowledge-based industries more broadly, having a knowledge of computer science is increasingly important, and kind of equally important is having the skill of computational thinking," says Education Secretary James Peyser. The Massachusetts Business Alliance for Education has stressed the need for education officials to consider access and parity as they develop computer science plans, to ensure "every student has access to computer science coursework and acquires the digital skills they need in the workforce now and in the future."